This pack contains all you need to convert an ordinary decorative paint into a mould resistant coating for walls and ceilings. 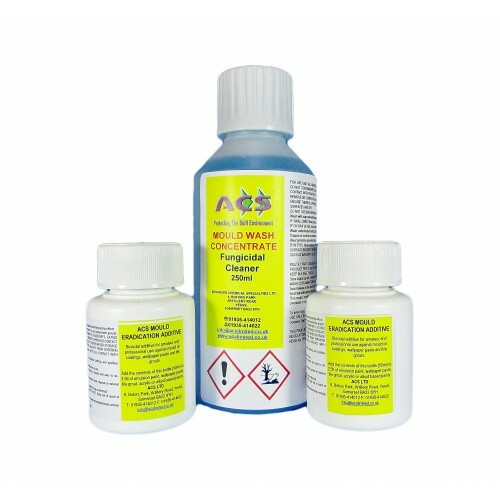 250ml of Mould wash concentrate will mix up to 5 litres of wash this will treat an area of 30 - 40 sq m . If you require less mix accordingly ( 1 part mould wash to 19 parts water. 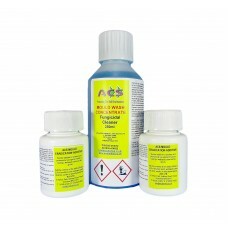 1 x Mould Eradication Additive 50ml is enough to convert 2.5 litres of paint into mould resisting paint. You will receive 2 in this pack enough to treat 5 litres of paint or coating.